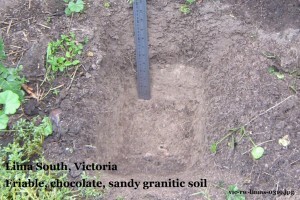 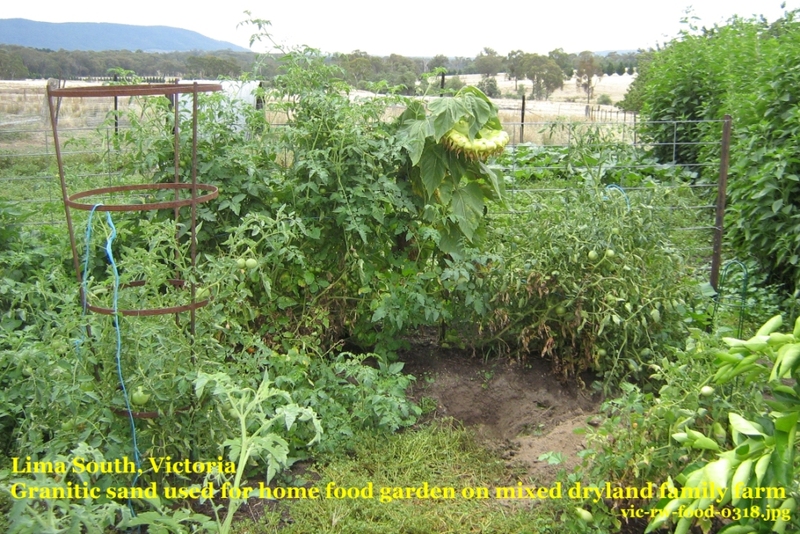 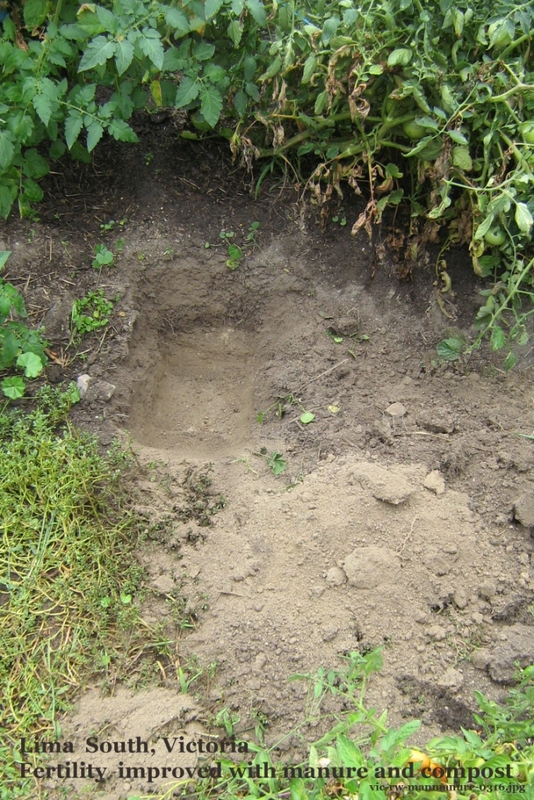 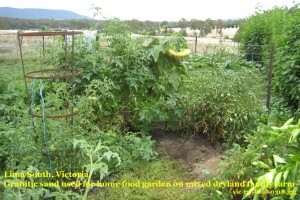 Description: granitic sandy soil with areas of yellow or red clay and friable, chocolate coloured topsoil along drainage lines, where the veggie patch is. 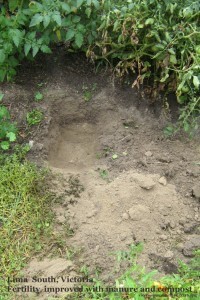 – For a comparison with a hilly French family farm Soil Selfies, visit the Koute de Tyon, in the Savoie ( which also has a family farm snapshot). 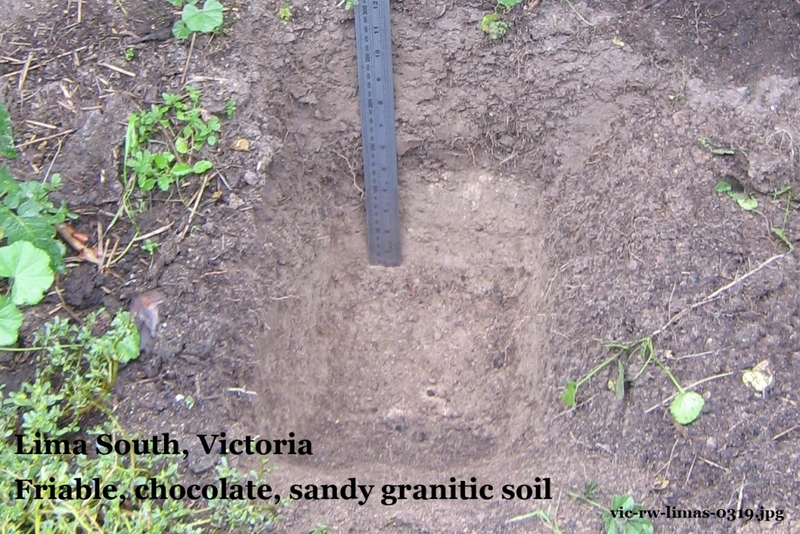 – This pdf handbook covers Strathbogies soils and their nature.